The digital decade is coming to an end. A decade shrouded in uncertainty. It began with a fright, the Y2K scare had those who would eventually usher in the digital revolution uncertain if the the time would even come, like a sort of stage fright for what was to be one of mankind's most progressive moments. When the year 2000 stepped into the spotlight and we all blinked for a second to make sure everything was ok, what happened in that blink was the beginning of a revolution. Something did actually happen, we just didn't instantly realize what it was. Vinyl vanished, analog moved along, information sped at us on the superhighway, music metamorphosed and relationships reignited. By the end of the decade we were all instantly connected via the social web. Everything we did was digitized. The places we went, the people we met, the things we saw and what we thought at that exact moment was to be shared by everyone everywhere with access to the internet. We were armed with devices that would enable us to share every moment of our lives and exchange them with others like a social currency that would redefine the caste. The result of the digital revolution was a new hierarchical division of society according to Twitter followers, Facebook friends, or LinkedIn connections. At its onset it was the decade's abolitionists, its digital ambassadors, who were thought by many to be destroying the physical threads of society. The phone, the television, the printed word and all forms of media were all being harrowed so that the seeds of improvement and efficiency could flourish. Suddenly we were able to store our media in the heavens and have anything we desired rain down on us at the push of a button, the click of a mouse or a tap on a screen. The 2000s was a decade where our lives all instantly synced. At the end of the 20th century our grandmothers couldn't program their VCRs and digital displays were blinking endlessly like a beacon calling for help. In the beginning of the 21st century suddenly grandma was able to set up her email and is now forwarding powerpoint slideshows, mom shops online, dad is on Facebook and Twitter, teens are sexting and kids are programming smart phone apps and becoming millionaires. We do everything online, and as we move into the next decade of the digital revolution that convergence is going to become more intimate, more fluid, easier, faster, more integrated than we would ever imagine it could be. Our new technological world will be more tangible, more tactile, easier to control and at the same time so much more complex than it has ever been. 2000 is about to update its profile to 2010. Throngs of digerati who have been chatting online since the days those creepy rooms opened their digital doors in the what seems like ancient halls of AOL, have been priming themselves for this very moment in time. Message boards, instant messages, blog posts, dating websites, multi-user RPG games, Craigslist, Friendster, even email have been the "boot camp" for the new social media expert. Years of early forms of social media have sharpened the online digital social skills of geeks everywhere. Bill Gates who became the poster boy for success in the digital age said in the year 2000 "In the years ahead, the Internet will have an even more profound effect on the way we work, live and learn. By enabling instantaneous and seamless communication and commerce around the globe, from almost any device imaginable, this technology will be one of the key cultural and economic forces of the early 21st century." That was a pretty bold prediction in 2000 and pretty much exactly what is happening now. Bill went on to say in the same essay "All these advances will soon create a ubiquitous Internet--personal and business information, email, and instant messaging, rich digital media and Web content will be available any time, any place and from any device." We live in a world where the social bar is becoming less about looks or money, success or intellect, its how many followers you have on Twitter, Facebook friends or how many comments you can generate on a blog post. In the past month there has been a bit of an apprehensive backlash against those who claim to be social media experts. People who charge money to brands in order to help them navigate the murky waters of social media like a digital tour guide helping to make sense of what is going on in the landscape. It seems kind of weird for people like myself to imagine that brands are paying for what we do each and every day. Paying for the witty snippets, great timing, passive aggressive pokes and overinflated praise, the hook-ups and the super secretive"DM me" via the @ or the RT, the #FF or the open conversation about the success your having and flaunting every second of your life over a number of social networks that equal to the second or third largest population in the world. Napoleon Dynamite had a scene that for me immediately summed up how much confidence social media can give someone like Napoleon's brother Kip (prototypical social media expert). Kip represents the forefather of social media "experts" the guy who was so desperate find ways to assert himself into society, despite his physical and other lacking, that he immediately jumped on to the social web to sway his hidden swagger and land himself the woman of his dreams. 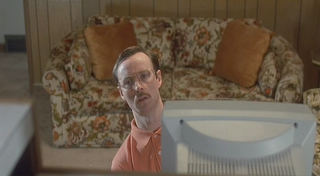 When Napoleon complained that Kip "...stayed home all day and eat all the frickin chips" his response was "Napoleon, don't be jealous that I've been chatting online with babes all day. Besides, we both know that I'm training to be a cage fighter." Chatting online and becoming a cage fighter, in that simple statement Kip explained to us how invigorating social media can be and how empowering it can be for someone like him to even consider himself for such a unattainable goal as cage fighting. Social media levels the playing fields. It gives everyone an opportunity to have a voice and to express who they are from within. Granted, its behind a screen and somewhat anonymous, but its no different than the facades people put on and social games they play in real life but only now its your digital prowess that gets you up that ladder. So now its the eve of 2010 and a new social landscape is upon us. Brands want in big time. Brands want to take hold of the conversations and ensure that their carefully crafted messages translate in the social media world as they once did in the regular world. Brands want to monitor and react based on the ambient awareness that they are paying these social media experts for. In return brands want results, they want the same results they used to demand of traditional campaigns. That is impossible. BusinessWeek published an article on December 3rd entitled "Beware Social Media Snake Oil" in this article it warns the public of so called experts who may or may not be what they claim to be. Steven Baker concludes in his article "Many argue that a fixation on hard numbers could lead companies to ignore the harder-to-quantify dividends of social media, such as trust and commitment." It is those "harder-to-quantify" things that bring us back to a time where we trusted people to do what they do because only they can do it. It was a time when a rainmaker sold products or services not based on some book or some scientific business method but on his charm and the intangible understanding of society and the way to navigate influence it. It was a time when there was a role where someone who intuitively knew where the herds were running not because he or she was part of that herd but because they were helping to direct it through a methodology that was nothing more complex than just something they were born with. Today's social media experts are no different. Some will promise the world and scam you out of every dollar you have and others will lead your brand to that social media pie in the sky. They will shepherd your brand into the awareness of millions, maybe even billions of people in a shorter time and with a fraction of the advertising budget. The right person can create a world wide conversation that could make or break your brand, they can kill it, resurrect it, re-birth it and refine it almost instantaneously. Social media manipulation is not an art, its not a science nor is it something that can be fabricated or coerced the way traditional advertising did on TV, in magazines and the early web. It is a digitally amplified version of the world we live in where the fast, the witty, the nimble, the intelligent, the verbose, the passionate and even the somewhat anti-social persona is what draws the most attention. The future will bring us more tools, more channels and more ways to perfect the persona that we all want to portray online. New tools and applications, services and ideas that will give the public more power to control the world around them and to shape the social media landscape to their exact specifications. Digital refinement. The "experts" will be more like anthropologists than programmers. They will be less artistic and more articulate. They will be those castaways who now control the velvet ropes into the hottest social networks on the web. It is the Kip's who labored all day knowing that somehow this technology was going to reveal the superman within. They knew that there was a fire hidden beneath those glasses and wiry frames. They knew that there was an "expert" hidden below those thin mustaches and buttoned up collars and they were right. Social media experts have indeed arrived, some fakes and some true. When considering a hire have them show you their world, describe their day and talk about their successes. Not every social media campaign is going to produce exacting results, rather it is an ongoing step in the social ups and downs of living and breathing in a social network online. There is no end, death maybe, but an ongoing brand story that everyone may or may not want to be a part of. Your next "expert" is going to help your brand live that life and communicate and navigate a whole new world. So when the question arises in your next strategy meeting if social media experts really exist you can rest assured that they do and in many many different forms.